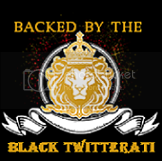 Black Twitterati: TheFabGiver: PassionistaBlack Twitterati- Celebrating the Black Twitterati... one tweet at a time. Who's worth following, who isn't. Karyn is an intelligent, beautiful, fabulous woman with a big heart! I still thank her to this day for letting me be a Red Pump Ambassador. She's awesome!